Hello again and welcome! I'm delighted to present Julien Farveau, a student at the University of Calgary, as the latest entrant in the The 2014 Bob Chapple Archaeological Essay Prize in association with Wordwell Books. In this piece, Julien assesses the settlement evidence from the Irish Iron Age - it's well worth a read. On the other hand, if you think you can do better, please take a look at the entry criteria [here] and consider sending an entry of your own. I look forward to reading them! The apparent absence of domestic settlements dating to the Iron Age in Ireland is critically assessed with several lines of inquiry. While many Iron Age ‘royal sites’ have been analyzed, it was not until recently that researchers seemed to consider the dearth of Iron Age settlements. An in-depth examination of the current state of knowledge about Irish Iron Age settlements has led me to conclude that there are a multitude of reasons that contribute to the lack of Iron Age settlement evidence. These mainly include archaeological limitations and bias. Ultimately, this study provides a consolidated framework from which more research and discussion can develop. Perhaps deeper investigation into cultural and economic implications and localised climate change may shed light on the issue. Since the conception of Irish archaeology, the majority of research has been focused on the glorious finds of other periods such as the Bronze Age and Viking Ireland. The Iron Age has largely taken a back seat in appeal. Only recently with the construction of new roadways and their associated discoveries has Iron Age archaeology been such a hot topic in Ireland. For a long time, Iron Age archaeology was centered on the spectacular sites of this period, and about the ongoing debate concerning the Celts. Therefore, archaeological investigation into the few and surviving modest sites believed to be settlements, remained largely overlooked. This has created a patchy reconstruction of Irish Iron Age society. Thus, the Iron Age and its apparent dearth of settlement evidence will be discussed in further detail throughout this paper. Topics for this discussion include the ineffectiveness of surface surveys, artefact scarcity and other forms of archaeological bias along with site specific examples. A short discussion suggestive of a thriving Iron Age society will be mentioned to further question the reliability of the archaeological record. Furthermore, medieval literature pertaining to the Iron Age will be examined. Lastly, general biases and the allure that researchers have towards certain topics will be discussed to dissect its effect on the reconstruction of the Iron Age as we know it today. Archaeological limitations in regard to the Iron Age impede our understanding of this period in prehistory, especially settlement patterns. One of the ways of searching for potential sites is to do traditional surface surveys which are largely inadequate in locating Iron Age settlements. Many discoveries of Iron Age sites confirm the “sites of this period have no surface expression” (Hanley and Hurley 2013:1:196). In terms of possible dwellings, the notion that tents might have been used during the Iron Age was suggested by the discovery of two wooden pegs near the Iron Age road at Corlea in Co. Longford. Consequently, “Tents, flimsy and impermanent and made entirely of perishable materials, would normally leave no trace in the archaeological record.” (Raftery 1994:113). Furthermore, “the absence of any evidence for the use of nails at Navan” (Raftery 1994:113) demonstrates the low potential of finding any evidence of building material. Artefact scarcity is another archaeological limitation on the analysis of Iron Age era occupations. Like settlements, artefacts are difficult to identify, largely due to their rapidly degradable nature and utilitarian use. As an example, the synthesis of sites discovered on road schemes in Munster by McLaughlin and Conran 2008 allude to the notable lack of artefacts. Furthermore, as Raftery notes, “The working of bone must have been another virtually ubiquitous domestic craft which has left few traces in the material record.” (Raftery 1994:120). To compound the problem, artefacts from the Iron Age appear to have a highly selective and regionally restricted distribution. Hence, “Artefacts are that part of the record that most clearly shows a northern bias” (Becker et al. 2008:23), consequently the artefact record (or lack there-of) is skewed. The problem of artefact scarcity severely impedes archaeologists from recognizing, then establishing models or patterns of deposition, which can be used to deduce what kind of site they are looking at. For example, at the N8 Road Scheme in Co. Cork, eighteen Iron Age sites were discovered, but only one of those sites produced a diagnostic artefact. All seventeen others were identified to be part of the Iron Age solely based on radiocarbon dating. In cases such as this, the ‘old wood effect’  surely needs to be taken into consideration when dealing with radiocarbon dating. An additional archaeological problem in understanding Iron Age settlements has been described by Becker et al. 2008. The authors note that “The lack of such information [sample quality and origin] in recent publications [site reports] is striking.” (Becker et al. 2008:18). Thus the need for quality work in every aspect of archaeological digs is crucial. Sample quality and origin is truly important to note, especially when researchers later reference excavation documents. Another archaeological problem pertaining to the identification of Iron Age settlements is their apparent patterning in areas of high erosion. As noted by Hanley and Hurley 2013, “The new sites are not without their interpretive problems; mostly comprising fragmentary settlement remains, for the most part devoid of local settlement contexts.” (Hanley and Hurley 2013:1:196). An example of this was at the site of Ballinaspig More 5 which was discovered in view of the construction of the N22 Ballincollig Bypass Scheme. It was a multi-period site in which two structures were dated to the Iron Age. Specifically, Structure 1 had missing post-holes on the north-east side which may have eroded away due to their location on the ridge. Also, no hearth or occupational levels could be identified possibly due to the lack of depositional stability of the site itself. Fittingly, during the excavations, the process of water action was witnessed, thus it may have scoured away any remaining occupational evidence. In light of several examples mentioned above, it is fair to assert that there are a multitude of archaeological limitations which hinder our reconstruction of Iron Age settlement patterns. These limitations also impede the understanding of sites pertaining to other periods. Nevertheless, it appears as though the reconstruction of the Irish Iron Age is more affected. For a long time, the prevalent idea on the Iron Age is that it was a ‘dark’ and enigmatic period. Then, with the renewed interest of early written accounts, researchers started associating spectacular archaeological sites with that of the descriptions of early scribes claiming them to be royal settlements, “hence the term ‘royal site’.” (Waddell 2010:370). These well-known ‘royal sites’ such as Navan (Emhain Mhacha) and Tara (Teamhair) all demonstrate a long history of ceremonial and ritual activity which would suggest a well-established Iron Age society, wealthy enough to pursue such activities. Certainly during festivities would people attempt to prove themselves worthy of higher status and perhaps gain prestige. The idea of public performance to maintain power and manipulate past societies is closely linked with the development of complex societies. One of the fascinating discoveries dating to the Iron Age was that of the ‘road’ at Corlea. The ‘road’ was a massive undertaking in which “the whole process of felling, transport and construction was evidently a major coordinated effort” (Raftery 1996). Such coordination suggests the existence of a leading individual or group of individuals. Most definitely, the grains of complex hierarchy seen in the medieval period originated in the Iron Age. All of these ideas suggest a thriving society, thus perhaps the ‘Invisible People’ (see Raftery 1994) are only invisible in terms of settlement patterns. As any aficionado of history can attest, written accounts must be subject to critical examination. Throughout time, there have been attempts to propagate certain ideals by constructing selective accounts of the recent past. The disparities among analogous accounts indicate that factionalism and political agendas are driving forces among the ‘history makers’ and authors of written accounts. Equally, “[scribes] often had propaganda or myth-history in mind!” (Cooney and Grogan 1994:188). These notions are seemingly omnipresent in literature and most definitely need to be taken into consideration when reading medieval literature pertaining to the Irish Iron Age. As an example, “The writings of ecclesiastical authors like Tírechán and Muirchú of Armagh, and Adomnán of Iona, make clear their antipathy to the continued practice of burial within fertae (circular ditched enclosures).”(O’Sullivan et al. 2013:303). This example clearly demonstrates that even holy Christian authors had pejorative views on past practices. On the other hand, these antipathies reveal a probable prehistorical truth which is one of the fruits of looking at past sources. “The principle of it is a primitive aristocracy, a warrior aristocracy in the sense that it is organised for the warfare which is its business. Economically speaking it is chiefly a cattle-rearing community in Ireland, and cattle are the staple form of wealth and the aim of much of the raiding and fighting.” (Jackson 1964:8). The previous quote was taken from the work of K. H. Jackson, his work was that of examining heroic literature to gather information on Irish society in the Iron Age. Although an interesting read for what it is, it is probably not an accurate depiction of what was truly happening in the Iron Age. The discovery of rotary querns strongly suggests cereal production was widespread during the Iron Age which “contrasts with the picture suggested by the early historic literature with its emphasis on cattle production, which may after all be a reflection of the ‘macho’ image and priorities of an élite section of ‘Celtic’ society rather than illustrating the basic food supply of the population.” (Cooney and Grogan 1994:195). Another aspect of medieval literature was that of collections of ancient tales in Irish, on which note “… are preserved ancient tales of gods and heroes, kings and queens and warriors, which come down, undoubtedly by long oral tradition, from the Celts themselves. For a long time archaeologists have been trying to match these tales with the testimony of the spade.” (Stewart 2001:42). Archaeologists need to take a step backward and not read too much into medieval literature. After all, archaeology focuses on the information gained from material remains, independent of historical literature. Therefore the raw data should not be twisted and molded to specifications called upon by medieval scribes. It is worth remembering that the Irish Iron Age was not a literate period, therefore the accounts pertaining to the Iron Age were not contemporary with the events described and may have steep inaccuracies. Although medieval literature has its flaws, it should not discourage further research but serve as a cautionary tale to asserting prehistorical truths. Assuredly, one of the reasons there is such a patchy reconstruction of settlement patterns from the Irish Iron Age is the natural allure archaeologists have towards the more glamorous sites and discoveries regarding other periods of prehistory and history. Likewise, “It is no wonder that the abundant historical and archaeological evidence of early medieval Ireland, highly visible and largely comprehensible, still casts such a long interpretative shadow over the Iron Age.” (Bogucki and Crabtree 2004:2:237). Additionally, archaeological attention pertaining to the Iron Age has been primarily cast upon these so-called ‘royal sites’ and the continuing discussion about the Celts. Conceivably, another reason for the apparent lack of settlements from the Iron Age is their absence from productive plains and urban areas. This would limit their exposure from the public eye, archaeologists, and not be considered cultural resources worth mitigating. The few domestic settlements from the Iron Age that have been discovered and later published have quickly been forgotten due to their dull nature. Although it is not yet definitive as to whether climatic and environmental factors played a role in the apparent paucity of Iron Age settlements, evidence seems to suggest no drastic environmental changes occurred. Perhaps further investigation into localised climatic conditions might be revealing rather than looking at it on a larger scale. The notion that a cultural change swept through Iron Age society is definitely a possibility. However, that idea has yet to be clearly understood. Ultimately, it is important to consider the widely rejected causes in as much understanding as the ones which are accepted. The several causes mentioned above are but just a few of the many pertinent factors that result in the apparent dearth of settlement evidence pertaining to the Irish Iron Age. The overarching discussion of this paper pertains to the apparent lack of settlement evidence dating to the Iron Age in Ireland. 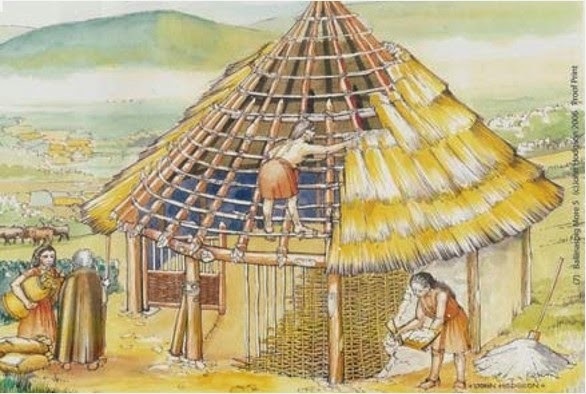 Various subjects were put forth such as archaeological limitations, bits of evidence indicating a thriving Iron Age society, the questioning of medieval literature, as well as other reasons and their effect on the reconstruction of the Irish Iron Age. Perhaps further inquiry into cultural and economic implications and possibly regional environmental change may bring about new evidence regarding the issue. On another note, below are the words of Ken Hanley, Project Archaeologist at the National Roads Authority (NRA), which truly capture the quintessence of Irish Iron Age archaeology. “This period was traditionally referred to as Ireland’s archaeological ‘dark age’, given the relative dearth of archaeological sites known from the period and the fact that Ireland, at one time, remained on the outer margins of history as documented by classical observers and chronicles of the Greek and Roman worlds. Our knowledge of the Iron Age has, nonetheless, emerged as one of the great beneficiaries of the surge in archaeological investigation on the national road schemes in recent years.” (Hanley and Hurley 2013:1:153). In regions such as Munster, over 75% of Iron Age sites were excavated by the NRA (McLaughlin and Conran 2008). This supports the idea that Iron Age sites are out there, it is just a matter of excavating them and extracting the valuable data. As more archaeologists are getting involved with the Iron Age, it will be up to them to tirelessly push for a more complete understanding of this prehistoric period in Ireland. Great research projects such as Iron Age Ireland: Finding an Invisible People , have compiled large amounts of primary data from archaeological excavations which have then been converted from grey literature into palatable reading material. These kind of projects validate the usefulness of CRM and generate engagement in the academic community which will ultimately bring us closer to perhaps answering such compelling questions. Also the development of new archaeological techniques have greatly deepened our understanding and has made it possible to identify archaeology in places previously believed to have been barren of any prehistoric relevance. It will be with more field work and the straining of current data that perhaps one day, the ambiguity over Iron Age settlements will be settled once and for all. 2008 Iron Age Ireland: Finding an Invisible People. Report to the Heritage Council. 2008 Archaeology Grant Scheme, Project 16365. (Tech. Rep.). Available from (http://www.ucd.ie/t4cms/iron_age_ireland_project_16365_pilotweb.pdf) (The Heritage Council). 2004 Ancient Europe, 8000 B.C. to A.D. 1000: Encyclopedia of the Barbarian World, Vol. II. Charles Scribner's Sons, New York. 1994 Irish Prehistory: A Social Perspective. Wordwell, Dublin. 2013 Generations: The Archaeology of Five National Road Schemes in County Cork, Vol. Ι. The National Roads Authority, Dublin. 1964 The Oldest Irish Tradition: A Window on the Iron Age. Cambridge University Press, New York. 2008 The emerging Iron Age of south Munster. 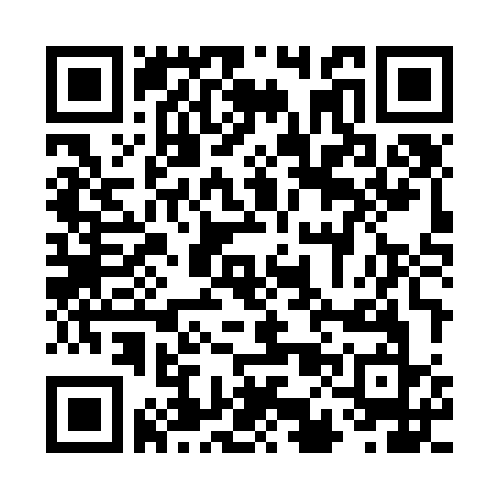 Seanda: National Roads Authority Archaeology Magazine 3:51-53. 2013 Early Medieval Ireland: AD 400-1100: The Evidence From Archaeological Excavations. Royal Irish Academy, Dublin. 1994 Pagan Celtic Ireland: The Enigma of the Irish Iron Age. Thames and Hudson, London. 1996 Trackway excavations in the Mountdillon bogs, Co. Longford, 1985-1991, Vol. III, Irish Archaeological Wetland Unit. Crannóg Publications, Dublin. 2001 The Shape of Irish History. McGill-Queen's University Press, Montreal. 2009 Archaeology. Nelson Education, Toronto. 2010 The Prehistoric Archaeology of Ireland. Rev. ed. Wordwell, Dublin. A potential problem with radiocarbon (or tree-ring) dating in which old wood has been scavenged and reused in a later archaeological site; the resulting date is not a true age of the associated human activity (Thomas et al. 2009). This project has been is specifically designed to address and resolve key issues of the Irish Iron Age and to develop a framework for future research. (See http://www.ucd.ie/archaeology/research/researcha-z/ironageireland/). My name is Julien Favreau, I am a French-Canadian full-time undergraduate (Co-op BA) majoring in Archaeology at the University of Calgary. I am currently on a 8-month internship at Parks Canada as an 'Archaeological Collections and GIS Assistant'. Last spring, I had the opportunity to travel to Ireland for the Achill Field School. This was a wonderful first dig for me and one I will certainly remember (minus the nights that we spent at the pub).